ATLANTIC CITY, N.J. — One of the world's largest online gambling companies has launched mobile sports betting in New Jersey, the latest to do so in the rapidly expanding market. The Stars Group told The Associated Press that it launched its BetStars app Thursday night. "As one of the largest online gaming companies in the world with millions of customers worldwide, we have successfully launched BetStars in regulated markets across Europe and look forward to expanding and enhancing our New Jersey BetStars offering," said Matt Primeaux, the company's senior vice president for U.S. strategy and operations. The move comes as 888 Sport has begun testing its own mobile sports betting product in New Jersey. It is affiliated with Caesars casino for licensing purposes. Affiliated with Resorts casino, The Stars Group owns brands including PokerStars, PokerStars Casino, Full Tilt, and PokerStars Live. Through its ownership of Sky Betting & Gaming, it licenses the Sky Bet, Sky Vegas, Sky Casino, Sky Bingo and Sky Poker online gaming brands. 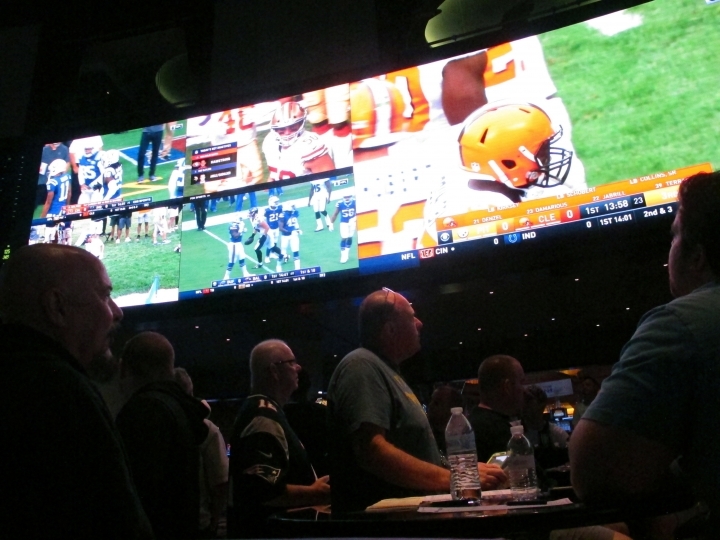 New Jersey's sports betting market is growing rapidly. Since it began in June, gamblers have plunked down more than $152 million on sporting events. That was before the NFL football season began. Now that the season is underway, expect those numbers to rise, particularly as more companies become involved, and as they begin offering online and mobile sports betting platforms. That segment of the industry is expected to generate most of its revenue as gamblers bet on their smartphones. Numerous companies already offer in-game betting options on the outcome of certain plays or events while a game is underway. New Jersey saw a rush of applications and approvals from companies hoping to get their mobile sports betting apps approved and up and running before football season started. Gamblers wagered more than $95 million on sporting events in August, and most of that was without football. Pre-season games were available to bet on but did not draw large interest. That total was more than double the $40.6 million sports gamblers wagered in New Jersey in July, the first full month in which it was legal.